Yellow Mums: ABC Flashcards Giveaway!! I must be on an ABC kick what with getting the little buddy ready for preschool! Yep, we're just doing a little joy school, so it will be fun to be one of his teachers. We're both pretty excited about that. 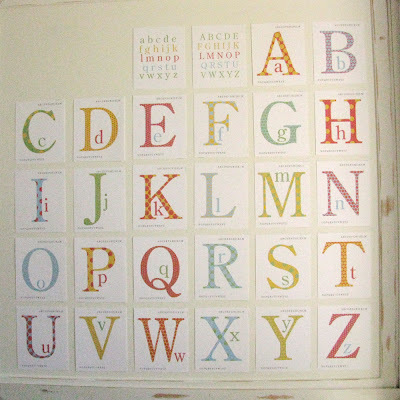 So I hung up these ABC flashcards to take pictures of them, but they were so fun up on the wall that we've decided to make them a permanent fixture. So maybe it's mean trickery that these aren't a freebie . . . but I do have them up in my etsy shop! I know my blogs probably mostly just good for freebies, but occasionally I spend a whole lot of time working on something and I feel like it's worth a little more than just free :) Sometimes it's a hard call whether to give something away or sale it. Don't hate me. Anyway, onto the giveaway. 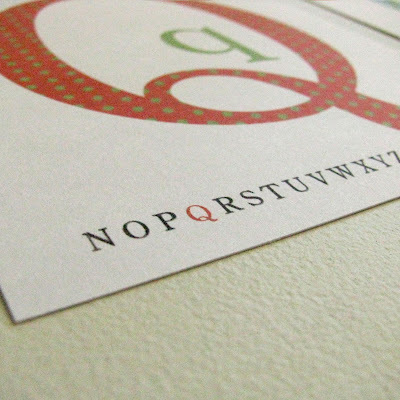 I will be giving away TWO pdf Printable ABC Polka Dot flashcard sets away. 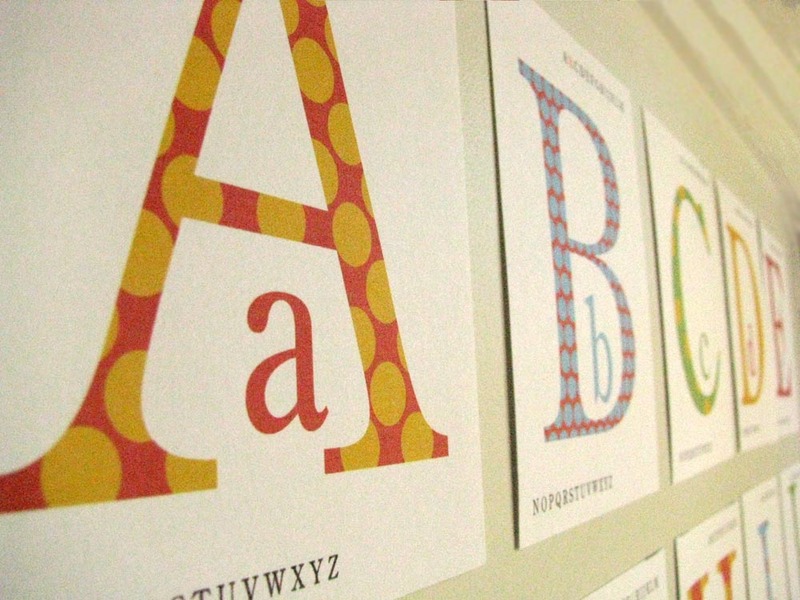 These cool ABC's are each different, yet only use red, yellow and blue. The different sized polka dots make the red and yellow, or red and blue, or yellow and blue turn into secondary colors (same idea behind pointilism). Simple and fun fun fun. 2. Get a second "entry" by following me, or telling me you already do. 3. Giveaway will be announced next Thursday, September 1st. Big fan of all your graphics! Thank you for this giveaway. I have always had you on my google reader...but now am a Follower. Love these! My fave letter is V! My favorite letter is "j"... because my name starts with it! My favourite letter is M! I already follow your blog - and love it! My favorite letter is O. So simple. I love the letter H and how it pops! I don't know that I have a favorite, but I'll go ahead and say A. 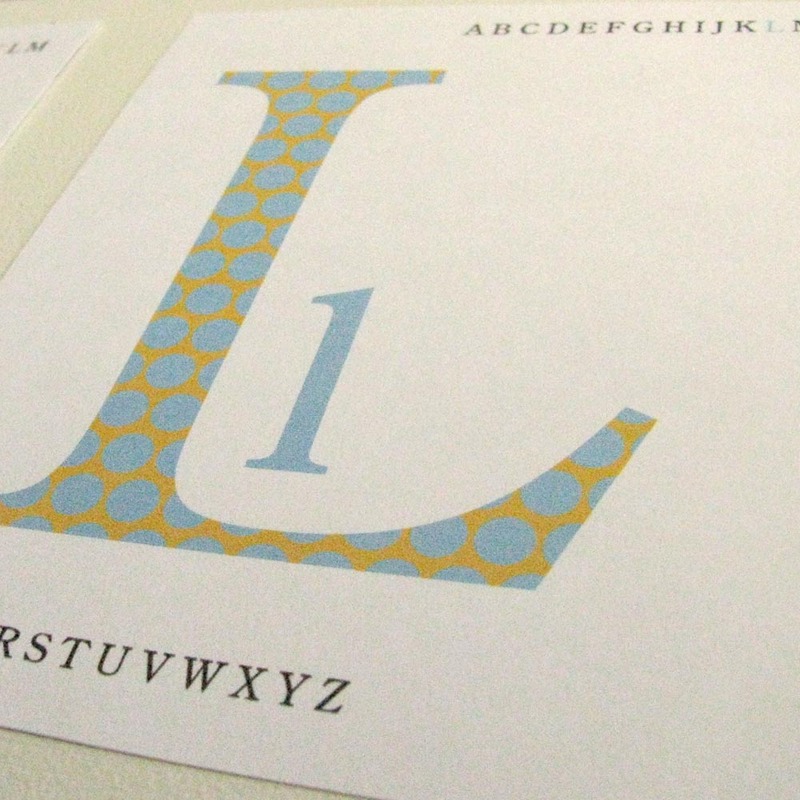 This alphabet is adorable! I love it. cet abc est vraiment magnifique, j'aimerais en avoir un comme cela dans ma classe (mes élèves ont entre 4 et 6 ans)... il faut donner sa lettre préférée ? mmh difficile... le A est superbe, mais toutes les autres lettres aussi ! this ABC is relly beautiful, i'd like to have one like this in my classroom (my pupils are between 4 and 6) I must choose a letter ? mmh quite difficult... A is superb, but all letters are so ! My favorite letter is M! :) Thanks for all of your cute printables! my favorite letter is M! love these! My favorite letter of the alphabet is J! J for Jesus and J for the name of my sweet baby boy Joshua. 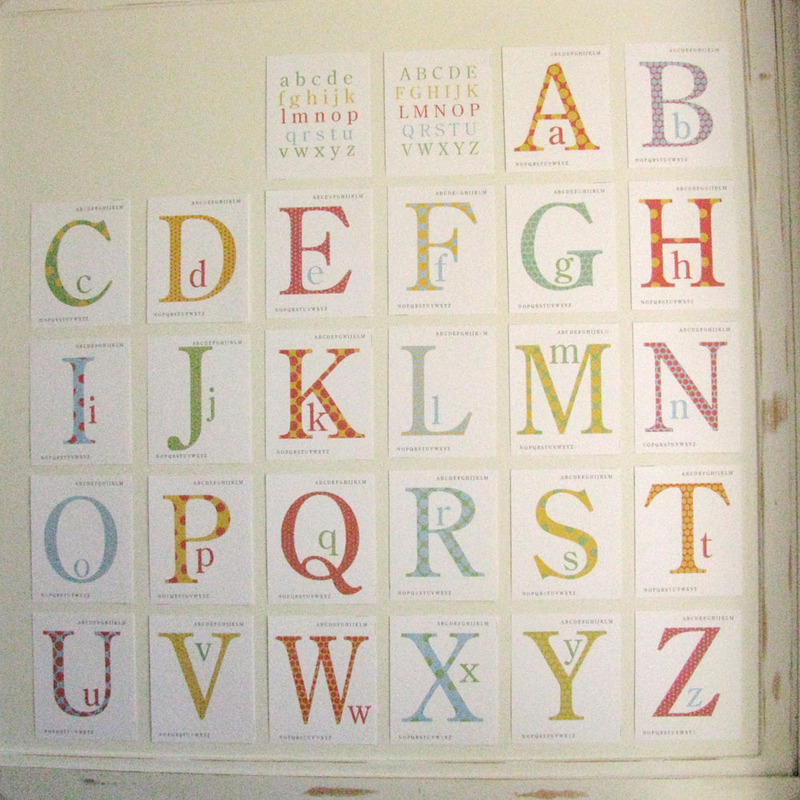 we are planning his 1st bday party which will be an Alphabet party so these flash cards would be PERfect! Heard about you from a friend and would love to order some stuff too! GOing to be a follower after i submit this comment! Lauralee! You are amazing! I am so glad that I came across your blog! How are you doing? :) You are so creative! I guess my favorite letter would have to be A! A: for amazing artwork! And now I am a follower! Thanks for sharing your great ideas! I follow you and love your work! These alphabet cards are AMAZING! I'd love to put them up in my daughter's room! My favorite letter is A. My name, my sister, all of our cousins, and my husband's name all start with A! These cards are so cute. You are so creative. My favorite letter is "G." It is so versatile, can be hard or soft and even helps make the "f" sound. It also spells gelato. Mmmm yum, gelato. My favorite letter of the alphabet is C because it's the first letter of my first name. :) I would love to win this! So cute. This are beautiful. My favorite letter is K.
I am new to Yellow Mums and I love this site! My favorite letter is "M" because it's our last name initial (but that "K" of yours is pretty stinkin' cute!). I want a set of these for our preschool - can't imagine anything sweeter on those walls!! Thank you for sharing your talents!! I love your work! So creative! My favorite letter is "B" for my last name! SO grateful for it and proud of it! I follow your blog! Thank you for all your hard work and sharing your talents! I am not sure what my favorite letter of the alphabet is. It would probably be and A. A's are in everything! These are so cute! My letter of the alphabet is "A". It is the beginning of the alphabet and amen! Amazing!